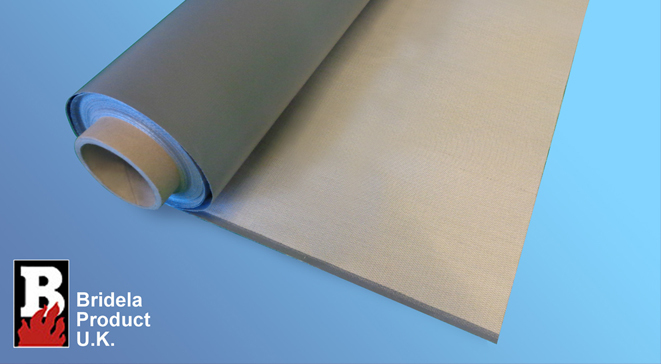 PTFE coated glass fibre fabric is constructed from a glass fibre fabric base with a grey PTFE coating. The base glass fibre fabric is extremely durable, non-flammable and operates well at high temperatures. The PTFE coating provides excellent resistance to inadvertent chemical splashes and is easy to clean (wipe down). It is also very capable of resisting contamination by aqueous and oily fluids.